As a multi-talented creator, Kubo has been involved in various projects as a core team member. He is also the representative of Chrono Gear Creative. His projects have included Milky Holmes (project planning), Vanguard (card illustration design), Buddyfight Vanguard (project design), Garo: Live Action Series (artwork), Garo: The Animation (project producer, script, horror design), Rage of Bahamut (monster design), and more. 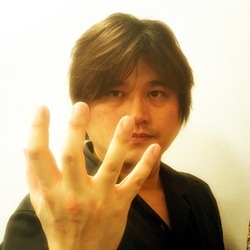 Early in his career, Kubo was part of the famed Red Entertainment, with projects such as Sakura Wars (project management), Gungrave (project planning, producer), Galaxy Fraulein Yuna (public relations, project planning, producer) and game projects such as Far East of Eden (public relations producer).